During the era of peace up to 1620, Tilly created (the Bavarian army, the flower of the army of the League, and the first standing army in the empire that was paid and fed, not by plundering and enforced contributions, but out of the regular revenues of the State. With these troops as his mainstay he took part in the prolonged war in Bohemia and the empire during the years 1620-30. 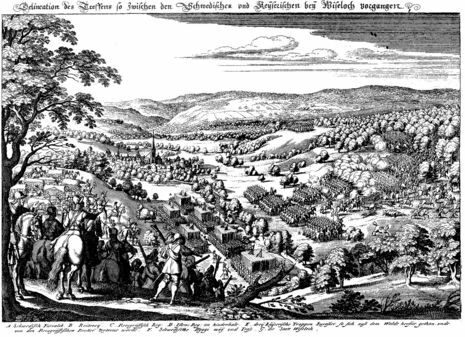 In 1620 the force of his attack gained the victory at the battle of the White Mountain (8 November) over the Bohemians who had revolted against the emperor. For four years Tilly was engaged in a contest with Ernst of Mansfeld and his confederates. Ernst transferred the war from Bohemia to the lands of the empire, so that Tilly was often hampered by political considerations. 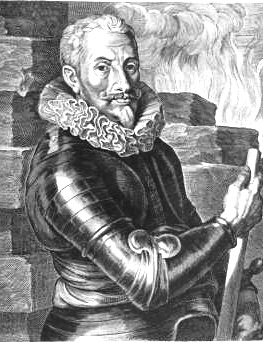 In 1622 Tilly forced Mansfeld to give battle at Wiesloch, but the result was indecisive. He then destroyed the army of George Frederick of Baden at Wimpfen, and that of Christian of Halberstadt at Höchst, and took Heidelberg and Mannheim. After this Mansfeld's army dispersed and Tilly had now the strategic control of the whole of southern Germany. But in the next year, Mansfeld and Christian entered north-western Germany with fresh armies. As the estates of Hesse and some of those of Lower Saxony were still adherents of the imperial cause, Tilly was able to make an energetic advance against Mansfeld and to defeat him at Stadtlohn in 1623. Political considerations, however, prevented his pursuit of Mansfeld. The inhabitants of northwestern Germany were roused to fanaticism against Tilly by the suggestion that he would force them to become Catholics. The districts on the middle course of the Weser which he garrisoned after his victory at Stadtlohn yielded so little that, in spite of all his efforts to feed his army by orderly methods, the soldiers suffered privations and took to plundering, which increased still more the animosity against them. 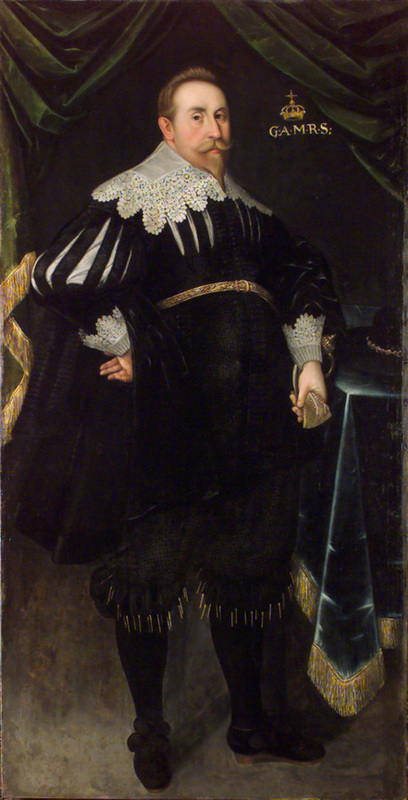 The danger that the King of Denmark would take part in the war led Tilly in 1625 to beg the emperor to raise an army in the empire and to place it under Wallenstein's command. Wallenstein kept all the prosperous territories for himself and limited Tilly more than ever to the districts poor in revenue of south-western Germany. Tilly now found it increasingly difficult to maintain discipline because Wallenstein collected mercenary soldiers by the promise of rich booty, and raised these troops on a larger scale and more successfully than any previous commander on account of his imposing personality. Moreover, from 1627, and especially after the Edict of Restitution of 1629 Tilly was obliged to carry out numerous orders to restore to the Church lands which had been taken from it contrary to the religious peace; in this way he gained the reputation of being a bitter enemy of Protestantism. By force of character, however, he overcame all difficulties. It was planned that Mansfeldt would march north and Georg march south, and the two forces join in the Lower Palatinate. This, in fact, occurred, and the joined armies of Mansfeldt and Baden-Durlach defeated Cordoba’s Spaniards at Wiesloch on 27 April 1622. The two armies then split and marched north separately to meet Christian of Brunswick.